The best feature of the Abilene Zoo is the bridge over the giraffe exhibit. It's perfect for feeding the giraffes. 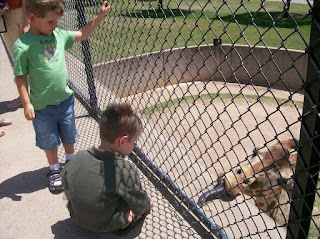 Dawson and Chance enjoyed throwing crackers to the giraffes and watching them scoop them up with their tongues.